EXCLUSIVE: ABC will screen two of the UK’s hottest dramas back to back on Sunday February 15th. Acclaimed thriller Broadchurch is back for its second season at 8:30pm, to be followed by the premiere of new 12-part thriller Fortitude at 9:20pm. Fortitude is a peaceful town surrounded by the savage beauty of the Arctic landscape, until a prominent member of the community is found eviscerated in his own home. Suddenly the town’s police chief Sheriff Anderssen (Dormer) has his first ever murder to investigate. And he has to so alongside an out–of-town detective who has flown into town so fast that questions are being asked about how much he knew, and when. The SKY Atlantic drama premieres in the UK next week and boasts a stellar cast including: Stanley Tucci (The Hunger Games), Sofie Grabol (The Killing), Richard Dormer (Game of Thrones), Michael Gambon (Harry Potter) and Christopher Eccleston (The Leftovers, Doctor Who). 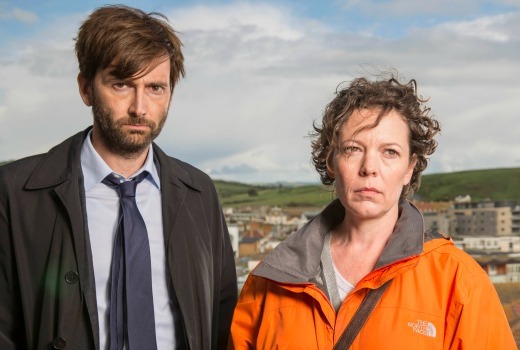 In series 2 of Broadchurch, David Tennant returns as DI Alec Hardy and Olivia Colman reprises her role as DS Ellie Miller, whose life was torn apart when her husband Joe confessed to murdering local schoolboy Danny Latimer in the seaside town. Along with Tennant and Colman, Jodie Whittaker and Andrew Buchan return as Danny’s parents Beth and Mark Latimer; Arthur Darvill as the Reverend Paul Coates; Carolyn Pickles as newspaper editor Maggie Radcliffe, and Australia’s Simone McAulley as publican Becca Fisher. Series 2 also stars enigmatic Emmy-nominated film and television actress Charlotte Rampling; Academy Award, BAFTA and Golden Globe nominee Marianne Jean-Baptiste; James D’Arcy (Hitchcock), Eve Myles (Little Dorritt, Torchwood) and Phoebe Waller-Bridge (Bad Education). The directing team includes Australian award-winning directors Jessica Hobbs (The Slap) on eps 3 and 4 and Jonathan Teplitzky (The Railway Man) on eps 5 and 6.
it was broadcast here on Abc in Aug 2013 so thats not a full 2 years but i get your point. Although no, i don’t necessarily expect there will be spoilers for a previous season in an article about the next season, & i have found most articles well written enough they don’t include exact details. @tvaddict, Darth Vader is Luke’s father, ohh whoops. You can’t blame DVD or the copy David got if you haven’t seen Broadchurch and decide to click on article about Broadchurch and not expecting spoilers. Hey tvaddict, surely you’d have to expect some spoils from Season 1 in an article about season 2…… You were the one who clicked on it. Broadchurch aired two years ago so I am comfortable we are past the alert stage. Also why ABC included it in the copy supplied. gee, thanks for the spolier alert on Broadchurch…..Not! 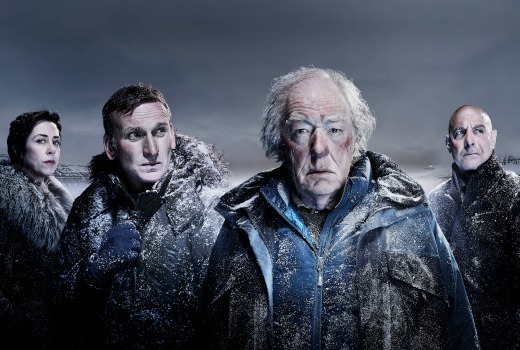 So which country is ‘Fortitude’ set in? Is it a remake in English of a Scandinavian series a la ‘Wallender’? I would say Stanley Tucci should be in everything, but that already seems to be the case. This is going to be a treat for Doctor Who fans due to David Tennant and Chris Eccleston as the headline of their respective series. So the ABC is going on the attack. The timing looks determined by when repeats of Sherlock S2 finish, rather than any strategic plan. It’s the second Sunday of ratings and the commercial networks will have established their Sunday lineups by then. Could be avoiding Gallipoli ep 1 for strategic reasons. Grabol and Gambon? Count me in. Will prob watch Broadchurch too, if only for Ms Rampling. A great start to the new year! Fortitude is 12 eps so it’l be straight-to-PVR for me. Broadchurch is only 8 eps and appears to be a drama rather than a crime solving story. I’ll wait and see how it pans out. Aussie Directors working in the UK, not enough work here? Local content rules for the Digitals?